It's all about books on BookLikes and in BookLikes' book clubs is no different! 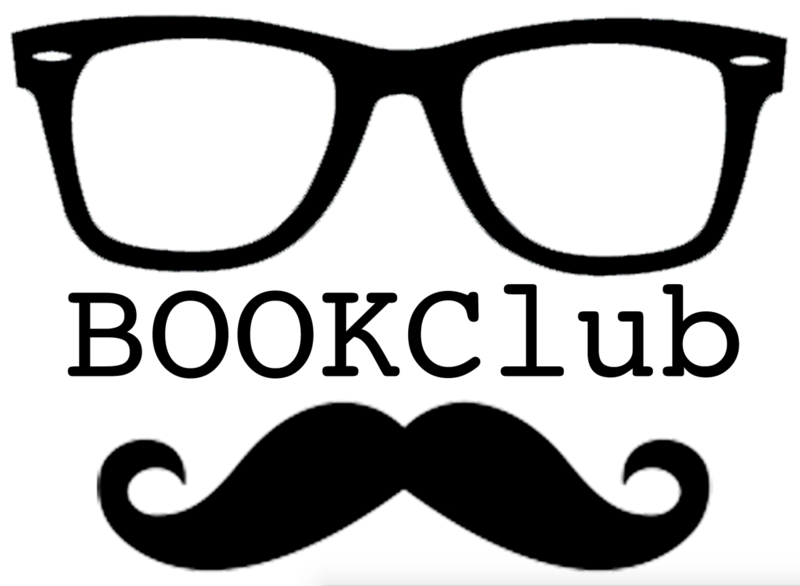 We're happy to present you an additional tool for your book clubs - you can share your club and add more admins who will run the club with you, manage and keep the discussions going, add new book surveys and invite new members! New option is available for book clubs initiators - bloggers who created the book clubs can share the book club and open the back office for other members. If you're a book club's admin and you wish to give extra powers to your book club mates, go to the Members tab and then click Manage members to look through your club's members and discover new admin option. On the Manage members page you'll see a new option that will allow you to provide any book club member with an additional admin function. New admins will have the same possibilities and edit options as the book club owners, including selecting the next read with and without the public voting survey. You can create your own book club in the Book Club tab (click the upper menu -> Book Cubs), then click Create a book club on the right and insert all club information. 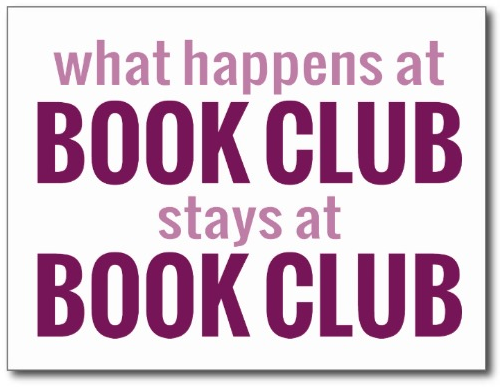 As a book club owner you can edit the club info any time in the Club tab. As a book club owner you can invite, block, remove, and switch on admin roles for members. As a book club owner you can add books and reading dates - the book will be presented in the Currently reading tab. 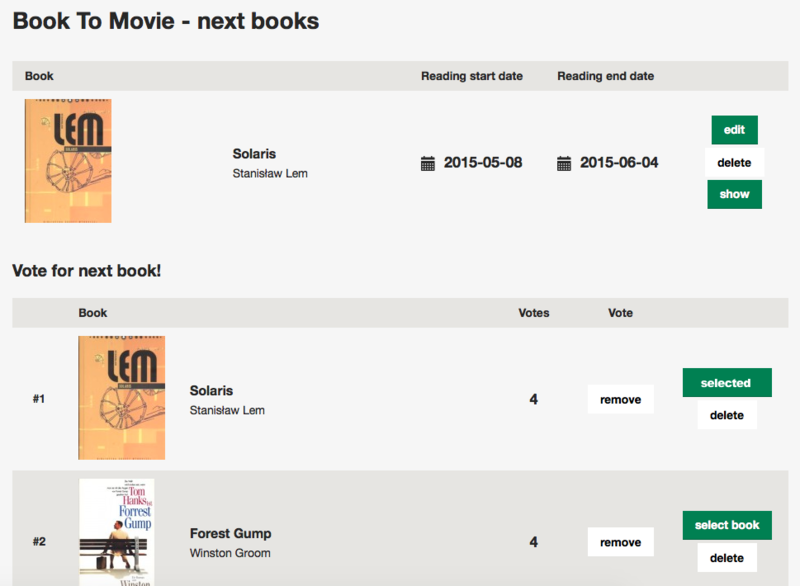 As a book club owner you can switch on/off public book voting survey. If the survey is on all club members can suggest future reads and then vote for particular books. Admin selects next book to be read in the club. Each book club has its own discussion room. The discussion group is created automatically and has the same name as the club. All book club members are members of the discussion group. Please check the notification options for your club and discussions on the club page and in the discussion group's main page. Each book read in the club has its own discussion thread. Discussion thread is created automatically; it is visible on the Book Club page in the Currently reading tab. You can add discussion posts any time - during the reading time and after. All posts and reviews published by book club members will be added to the book club main page.